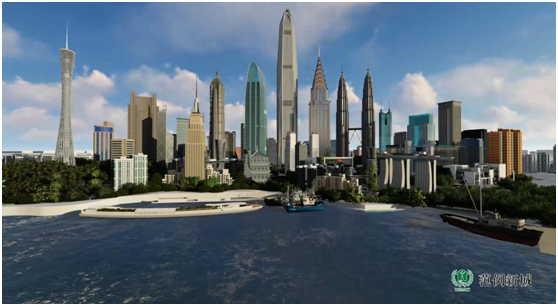 Inspired by International Green Model City (IGMC) Standards 3.0, IGMC animation film is a conceptual creative work that shows “the future green city for all”. 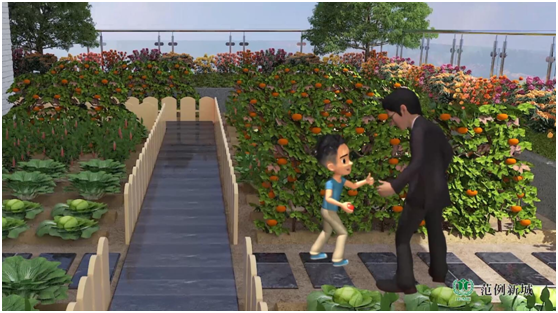 The film was produced based on the life of the SaSa family of three who live in a Southern Chinese city, and displays what a future greener city should look like in terms of ecology, traffic, CBD, neighborhood and smartness. The film therefore envisions a beautiful city with clean air, a well-connected city with unimpeded traffic flow, a livable city with convenient facilities, and a smart city filled with happiness. At the premiere show, four selected young kids from China and Thailand representing the masters of future cities shared their visions. For instance, a six-year-old little girl wishes to enjoy a vibrant harmonious community life with rich biodiversity, a girl at the age of 12 hopes to have convenient and walking environment in a city, and another boy imagines that in future cities the building itself generates electricity, the robot works, the car can fly, people can go for the interstellar tour, and the toy can be 3D printed at home, whereas a high-school girl anticipates that all resources in the future city can be recycled and reused, and there will be no waste and pollution. The film captures all the aspirations and presents a future city that is safe, harmounious, equitable, unique, prosperous, and sustainable. Whilst the film sets a great vision for future greener cities, the IGMC Standards 3.0 offers comprehensive strategies and practical ways. 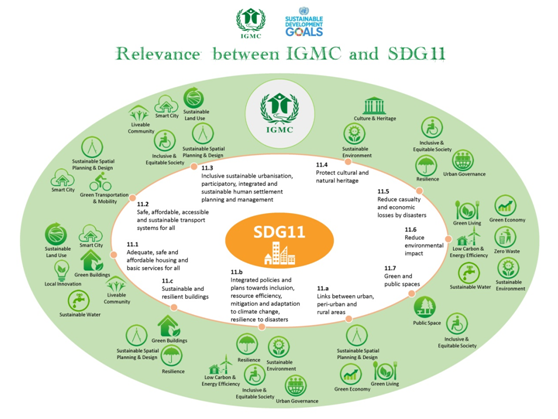 IGMC Standards 3.0 is an assessment and planning tool for sustainable urban development and provides technical means and evaluation methods for the implementation of the 2030 Agenda for Sustainable Development and the New Urban Agenda at local and community levels. Rooted in the 2030 Agenda for Sustainable Development and the New Urban Agenda, the vision of "IGMC Standards 3.0" is based on six basic principles: Safety, Sustainability, Equity, Identity, Prosperity and Happiness, and is carried out through the 18 categories spanning six dimensions of spatial planning and development, basic services, environment, economy, society and culture. 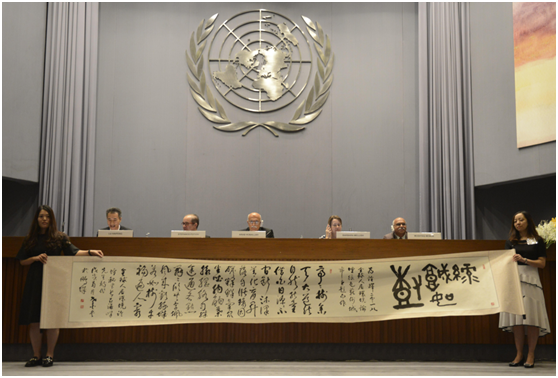 At the Global Forum on Human Settlements 2018, Mr. Lu Haifeng, Secretary General of Global Forum on Human Settlements, President of Better City Institute gave an interesting talk on “greener cities resemble trees” , implying that green cities should follow the main charateristics of a tree - being self-sufficient, environemntally-friendly, circulating resourecs, interconnected, inclusive and equitable. Centerned around the theme of "Green Model Cities", Mr. Lu composed a poem titled “Green Cities Resemble Trees” to shed more light on the importance of taking nature-based solutions for planning and developing green cities. Like Tao that closely follows nature. For daylight provides the source of power. In a robust cycle they turn over and over again. While nursing numerous breathing lungs with fresh oxygen. Reaching each cell through every different way. And ushers rustling wind to merrily stay. The world will teem with happiness forever. On top of that, a special training session was conducted during GFHS 2018 to further promote the understanding of IGMC Standards 3.0 and to propel substantive actions of integrating the Standards into urban planning and development. Mr. Lu Haifeng shared that IGMC 3.0 builds on a comprehensive Four-Lever approach including i) compact urban growth through higher densities, contiguous development, spatial restructuring of the urban form so as to reduce demands for energy and resources on a large scale; ii) continuously reducing demands through creating functionally and socially mixed liveable neighbourhoods; iii) improving resource efficiency through smart technologies, energy-efficient buildings and urban basic services; and iv) promoting sustainable behaviors and green lifestyles to further increase efficiency. Mr. Serge Salat, President, Urban Morphology and Complex Systems Institute, Paris, France, Leading Expert IGMC Standards 3.0 emphasized that one of the major benefits of integrating IGMC Standards is enhancing assets value in cities and urban competitiveness. In the meantime, a parallel session was held to exclusively focus on building International Green Model City and boosting urban innovation and green growth. IGMC online rating system including a comprehensive set of indicators was elaborated to offer cities and communities an assessment tool to identify gaps and opportunities. After the systematic evaluation, IGMC will provide tailor-made solutions and conduct pilots to support cities in closing the gaps and realizing sustainable growth. 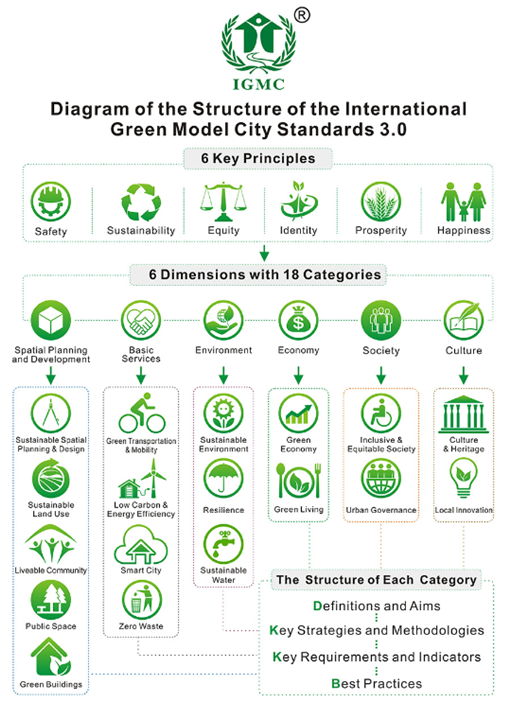 With the strong support of international organizations such as the United Nations Environment Programme and relevant national and local governments, Global Forum on Human Settlements (GFHS) launched the “International Green Model City (IGMC)” Initiative at UN Headquarters in April 2011. 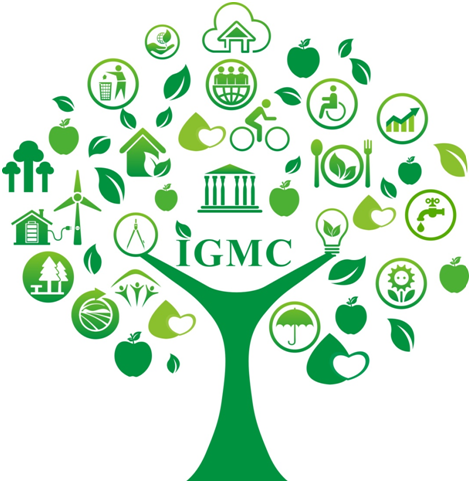 IGMC is a timely positive response to the severe challenges of rapid urbanization around the world, and has been constantly improved to keep up with the times. As an innovative green low-carbon urban development action plan, the IGMC initiative stimulates forward-looking government, business and social forces to work together to promote sustainable urban development in the world. A group of well-known cities and enterprises have joined the IGMC Initiative, including Vancouver (Canada), Cape Town (South Africa), Mannheim (Germany), Seberang Perai (Malaysia), Cuenca (Ecuador), Liuyang National Economic and Technical Development Zone, Wuyi County of Zhejiang Province, China Railway Real Estate Group, Vanke, Country Garden, Mission Hills, and others. Some of them have been listed as IGMC pilots.